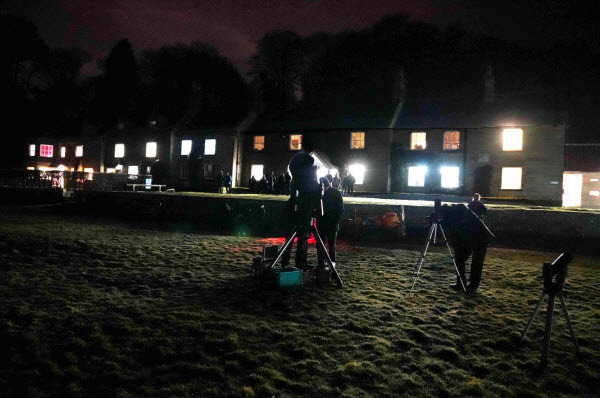 Together with other events at Dalby Forrest and Sutton bank, this was part of the NY National park’s dark sky awareness programme. February is always a tricky month weather wise, it could be anything, so it came as a relief that Saturday 17th proved to be a pretty quiet, clear day, a little chilly, but you expect that. Having marshalled the troops at Mark’s, (Andi, John, Keith, Lee, Mark and Victor) the expedition set off for the centre in good time. The event was fully subscribed – 80 booked in - so a good audience was guaranteed. On arrival we were met by Karen and the team from the centre and our good friend John Randles had also made it down from Westerdale, so we had a decent selection of scopes deployed on the field in front of the centre, including the LX 200 making an all-too-rare winter outing. Proceedings kicked off with the scale solar system demo, augmented by the inflatable planets, which had been pre inflated back in Whitby. The lighted globes were used in conjunction with these. The demo played particularly well, with plenty of coerced public involvement. It was then time to go to the scopes, whilst mark gave an extended laser point display. 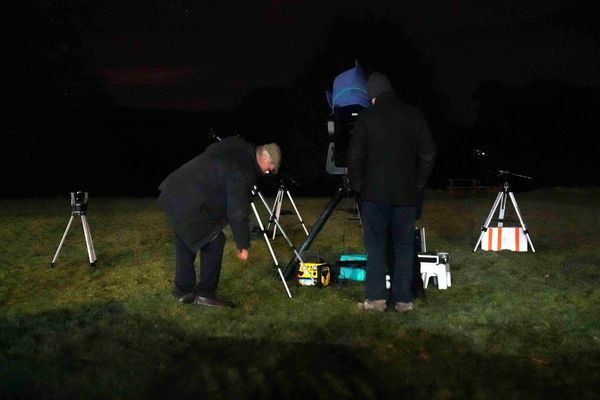 Sky conditions, although not universally pristine, were nevertheless still very good and views of various winter deep sky objects proved a hit. Eventually Mark had to retire indoors to give the presentation he was supposed to have given earlier. Of course Windows in its infinite wisdom decided to update, just then, great!!! so Plan B came into hasty operation – using the Stellarium programme on the Centre’s IT suite. This proved to be just as satisfactory. Proceedings finally drew to a close, our efforts much appreciated by all, indeed feedback was extremely positive – Karen thrilled the response. My thanks to the ‘band’ your dedication has been duly noted.